Joutseno asylum reception centre. File Photo Lehtikuva. Identifying victims of human trafficking can be extremely difficult, according to Joutseno reception centre director Jari Kähkönen. 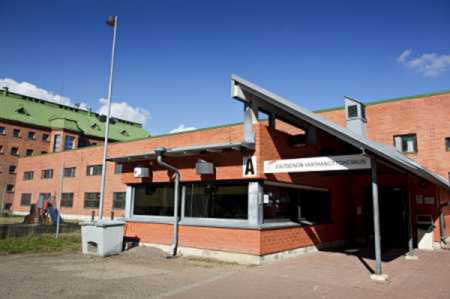 The Joutseno reception centre runs Finland's official human trafficking victim assistance programme. Shame, trauma and distrust toward authorities make it difficult to identify victims during asylum interviews. "It depends a lot on the client, but often the victim of human trafficking is not even able to talk about their traumatic experiences. I wonder if the backgrounds of traumatised individuals can be found out in a few hours," said Kähkönen reflecting on his own experiences and decisions with asylum interviews. According to Kähkönen, identification of a human trafficking victim by an interviewer requires knowledge of the extent and details of the phenomenon as well as a lot of personal contact and conversation with the victim. The Joutseno reception centre has a total of 207 human trafficking victims as clients. "On Wednesday, there were 46 Nigerians, which included 45 children,” Kähkönen said. Many victims of sexual abuse have been abused for a long time and require a wide range of assistance.